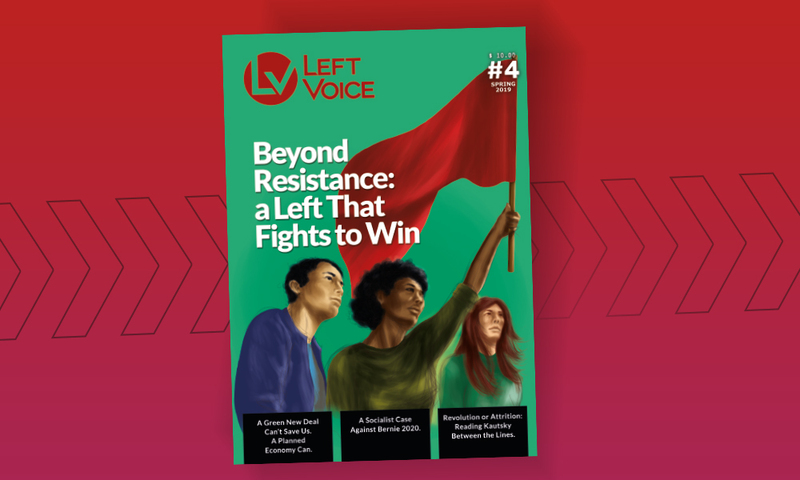 The Workers’ Left Front (FIT) has been set up in defence of workers’ political independence in opposition to the different capitalist blocs represented by the government, the right-wing opposition and the different variants of the centre-left. It does this based on a workers’ and socialist position of class independence, by raising a programme to promote the mobilization of the workers and exploited groups against the government and the employers. The FIT aims to be a political reference point for those who are struggling for the independence of the unions and the expulsion of the union bureaucracy and its thugs, and for the independence of the entire popular movement from capital and its state. In the context of the fierce disputes among supporters of the government and those of the right-wing opposition, the left is responding to the mandate of workers in struggle, by forming a united, class-conscious bloc to confront the bosses’ politicians and overcome the election ban imposed by the so-called ‘political reform’ with its crooked open primaries. The FIT has been formed at a time when the international capitalist crisis is in its fourth year, increasing the masses’ misery in broad swathes of the planet. In Europe, several countries are on the verge of default. The situation is no better for the United States, where the economic crisis is shaking the country to its very core, and which is suffering a political and military crisis in Iraq and Afghanistan, as well as being the target of the Arab revolution, as that revolution confronts pro-imperialist dictators. The policy of imperialism and its governments is to unload the crisis onto the workers and poor masses of the world. For that reason, there are struggles on all the continents, with one of the most important being the rebellion of ‘the outraged’ in Spain that has put Zapatero’s government in check. The rise in food prices has increased the misery of the masses and spurred on the rebellion in some countries. Alongside the strikes and mobilizations across Europe (from France to Greece, from Great Britain to Spain and Portugal) against the ‘austerity’ plans of the capitalist governments, the most important actions carried out by the masses have been the revolutionary processes in different countries of the Arab world: Tunisia, Egypt, Yemen, Libya, Syria and Bahrain. In Libya, the NATO intervention is intended to prevent the revolutionary downfall of Gadhafi and take control of the country to contain the entire process unleashed in the region. We call for the victory of those revolutions in the Arab world. We sharply differentiate ourselves from the phoney leftists who have supported the imperialist/NATO intervention, just as we condemn the alleged anti-imperialists, such as Castro and Chávez, who make common cause with the dictators who massacre their own people. Latin America is not on the fringes of this crisis. It is enough to think about the consequences that a failure of European banking or a slowdown in the Chinese economy would have for the region. There are already struggles for salaries and collective agreements in Venezuela, a general strike by the COB in Bolivia, an important strike in the construction sector in north-eastern Brazil, general strikes in Uruguay and student mobilizations in Chile, among other actions. The FIT condemns the clearly capitalist character of all Latin American governments, exposing before the eyes of workers, peasants, and students, the real character of the governments of Evo Morales, who repressed the COB strikers and criminalized the teachers, and of Hugo Chávez, who has just detained and handed over to the right-wing Colombian government of Santos the Colombian-born journalist Perez Becerra, who had been granted asylum in Sweden and now has Swedish nationality, in violation of the fundamental democratic right of asylum. The stage opened internationally by the capitalist crisis does not allow for half measures. It demands a revolutionary response from the working class. We call for imperialism, the multinational corporations, bankers and capitalists to pay for the crisis. No to the IMF austerity in Europe! Support for all the workers’ and masses’ demands! Meanwhile we condemn the treacherous leaderships of the European workers’ movement that are refusing to unify the struggles across the continent. Here in Argentina, we condemn the fact that the Kirchner wing of the Partido Justicialista (PJ), divided by internal disputes, has guaranteed astronomical profits for the employers and assiduously paid the foreign debt that dates back to the dictatorship. The country continues to be dominated by imperialist capital, while the mining, petroleum and soya monopolies go on liquidating our non-renewable resources at will. The great majority of Menem’s privatizations have been maintained, with the companies continuing to enjoy millions of dollars of subsidies from the government. The funds from the ANSES have not been used to satisfy the demands of retired people – most importantly the 82% plus sliding scale pension – but to subsidize the capitalists, to pay the foreign debt and finance the official political patronage system. Although the Kirchner tendency proclaims its ‘progressive ideas’, saying it is redistributing wealth, the reality is that more than 50% of the working class gets 2,500 pesos a month, while the monthly family shopping basket costs more than 5,000 pesos, and 40% of workers are part of the informal economy. The universal child benefit is inadequate, failing to solve the serious problem of malnutrition and infant mortality. Public-sector education and healthcare are increasingly in crisis due to lack of funds, with their workers on very low rates of pay, while the business of private education and healthcare is growing. This government, which describes itself as ‘national and popular’, has, as partners, mayors and governors from the PJ, and the CGT trade union bureaucracy, the same one that orchestrated the crime against Mariano Ferreyra. In 10 years, the CGT has failed to call a single general strike. The lists of candidates of the Front for Victory in every province are headed by representatives of business interests, many of whom come from Menem’s administration: Gioja in San Juan, De la Sota in Córdoba, Urtubey in Salta, Scioli in the Province of Buenos Aires, Insfrán, who repressed the indigenous QOM people, in Formosa, among others. The Kirchner political tendency came to an agreement with Menem, Barrionuevo, Saadi and Rico in order to ‘unite Peronism’, with the sole aim of guaranteeing Cristina’s re-election. The national government declares itself to be a defender of human rights, but the number of prosecuted militants stands at more than 4,000, and it protects and covers up for the union mobs which are attacking those in struggle. Although the popular and democratic struggle has led to the conviction of more than 100 of those responsible for the genocide during the dictatorship, thousands still continue to enjoy impunity. Moreover, some witnesses suffer the risk of being disappeared again, as happened to Julio López. The government talks about ‘Latin American integration’ while keeping troops in Haiti as part of the occupation force, serving the interests of the US. Centre-left groups like Martín Sabbatella’s Nuevo Encuentro are playing the role of giving a ‘progressive’ tinge to a government that set itself the goal of restoring capitalist order following the popular rebellion in December 2001. The right-wing opposition to the government, despite high-level sponsorship from business groups like Clarín and Techint, is divided and decimated, with, for example, the mayor of Buenos Aires city, Mauricio Macri, deciding not to stand in the October 2011 presidential election. On the other hand, nothing good for the workers can come from the candidacies of Ricardo Alfonsín, Francisco De Narváez, Eduardo Duhalde, Elisa Carrió, and the other representatives of the bosses’ parties. The leader of the centre-left Proyecto Sur, Fernando Solanas, has declined to stand for president in favour of Hermes Binner, the representative of the soya bosses and cereal multinationals. Solanas’s alleged opposition to the two-party system is only hot air: in Santa Fé he supports the front formed by the PS and the UCR, and his main allied in Neuquén is the UNE, which is part of a common front with the UCR and the PJ. In Córdoba, he formed an alliance with Luis Juez, in Buenos Aires city with the PS and Stolbizer. None of these electoral alliances will provide a solution to the problems of the working class and the poor masses. The Workers’ Left Front says do not be deceived by this new variant of the Frepaso alliance of 1994. In contrast, our Front is standing as candidates some of the best fighters the working class has produced in recent years – from the railways, the underground, Zanón, education, transport, the public sector, and the food, printing, steel and car industries. Our lists also include student activists from high schools and universities who have led occupations, and comrades who are leading the struggles against police repression, to indict the genocidal killers, and for women’s rights and against all forms of sexual oppression. The Workers’ Left Front condemns the so-called ‘electoral reform’ that increases state intervention inside political parties. We call for the repeal of this law which sets more difficult conditions for obtaining legal recognition in elections and curtails fundamental democratic rights, with its unprecedented requirement that parties obtain a minimum of 1.5% of the valid votes in the primary to be eligible to present candidates in the general election. The Workers’ Left Front will be presenting slates in 19 of the 24 electoral districts of the country and will use this campaign to mobilise workers and activists, and promote an independent political pole with a clear programme, demarcated from the capitalist factions, including those of the centre-left, so that the workers can become a decisive political factor and lead the exploited sections of the nation against capitalism and imperialism. The electoral campaign of the Workers’ Left Front seeks to prepare workers for the task of struggling for their own government. 1. Minimum wage equivalent to the family basket, index-linked to the real increases in living costs. Abolition of VAT on the products of the family basket. 2. Reinstatement of a pension of 82% of final salary with backdated increases. ANSES (Social Security Administration) to be under the direct administration of pensioners and workers. 3. Distribution of working hours with equal salary to put an end to unemployment. Ban redundancies and suspensions. 4. No to outsourcing and casual work. All workers to be employed as permanent staff under the most favourable collective agreements. Abolition of all legislation that allows flexible work. 5. Stop the persecution and victimisation of workers. Drop all legal proceedings against the 4,000 workers and trade union activists. Freedom for Roberto Marino and all other political prisoners . 6. Permanent expropriation of the Zanon factory, under workers’ control, and all other recovered factories. 7. No payment of the external debt. Repudiation of the debt owed to the Paris Club. The money should be used for salaries, jobs, health, education and housing. 8. Re-nationalisation of all the privatised enterprises under workers’ and consumers’ control. 9. Nationalisation without compensation and under workers’ control and management of the banks, foreign trade, oil, fishing and mining resources, and large industries. 10. Expropriation of the landowner oligarchy, the big grain exporters, and the cereal and meat packing monopolies. Nationalisation of the land, starting with the 4,000 largest landholdings, respecting the rights of poor peasants, indigenous peoples and small farmers who do not exploit agricultural labourers. No to the expulsion of indigenous peoples and peasantry from their lands. Full recognition of the rights of the QOM people of Formosa province. Stop the illegal employment of the agricultural labour force. Abolition of the dictatorship period decree that still governs the employment of agricultural labour. 11. Defend free education and healthcare. Stop subsidising private education. Church out of the education system. Down with the Higher Education Law. The state must stop financing the Catholic Church. For a national education system, free and secular. No to private health insurance, and private hospitals and clinics. For a free- high-quality national health system for all, subsidised by the state. Nationalisation of the pharmaceutical industries that profit out of people’s illness. Free medicines for those in need. For the democratic control of the trade union health insurance schemes by workers’ committees elected by the rank and file. 12. Pro-company trade union bureaucrats out of the railways. For the re-nationalisation of the railway system under workers’ control and management. 13. Trial and punishment for all those responsible for the assassination of Mariano Ferreyra (the train company UGOFE, the police, the general secretary of the railway workers’ union, José Pedraza, and the union thugs. 14. Bureaucrats out of the unions! Trade union independence from the government and the state. Down with the Professional Associations Law. For the fullest democracy inside the unions. For legal recognition of the new underground railway workers’ union. The CGT must break its ‘strategic alliance’ with the government and the employers and develop a national plan of action as decided by the rank and file. Support for militant and anti-bureaucratic unionism. A national campaign and plan of action for wage increases. Against working off the books and outsourcing. 15. IMF and the Kirchner gang out of INDEC! Reinstatement of all displaced personnel. For an INDEC administered by its workers and technicians, independent of any bosses’ government. 16. For the return of Jorge Julio López and Luciano Arruga. Prison for those who organised and those who carried out the assassination of Carlos Fuentealba. Life imprisonment with no special privileges for all involved in the genocide, those responsible for the crimes of the Triple A, and for trigger happy police killers. No to the lowering of the age of legal responsibility. Military and police out of our neighbourhoods. Repeal of the ‘anti-terrorist’ laws. 17. For the right to legal, safe and free abortion. For contraceptives to avoid the need for abortion and legal abortion to avoid dying. For equal rights at work for women. Equal pay for equal work. Free daycare centres in workplaces and educational institutions. Against every form of sexual oppression. Down with the institutionalised persecution of gays, lesbians, transvestites and transsexuals. 18. Decent housing for all. For an emergency programme of house building and the rebuilding of the shanty towns and settlements. Occupation of the empty apartments owned by real estate speculators. No criminalisation of those occupying the Parque Indoamericano or anyone involved in struggles for land. 19. Legislators should earn no more than a skilled worker or a head teacher with ten years’ seniority. Recall of elected representatives by the voters themselves. Abolition of the Senate and the monarch-like powers of the Presidential office. Direct election of judges. For juries composed of ordinary voters. 20. For a government of the workers and the people, achieved by the mobilisation of the exploited and oppressed. 21. Immediate withdrawal of Argentinean troops from Haiti. British troops out of the Malvinas Islands. Against the blockade of, and any type of imperialist aggression against, Cuba. No to capitalist restoration in Cuba. Support for all workers’ and people’s rebellions throughout the world. 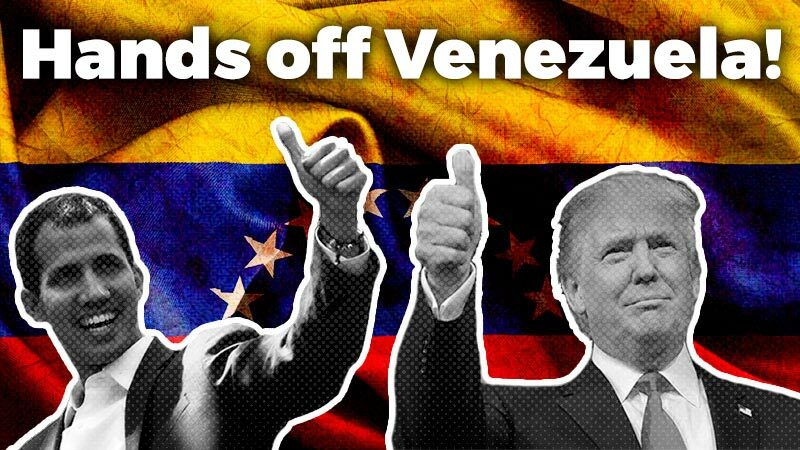 For the expulsion of imperialism from every country and the socialist unity of Latin America. For international socialism. 22. Long live the Arab Revolution. NATO out of Libya. End the Zionist occupation of Palestine. We call on workers, the left and all militants to join and give their support to the Front, so that working class votes will not be transferred to other parties through the ‘colectoras’ system. We call on progressive groups to leave the various projects of the centre-left that hang on to the coat-tails of the government and to join us in developing the Workers’ Left Front.